hd00:20Water flows down from the dam's discharge. hd00:32Abkhazia city of New Afon. Big beautiful waterfall. 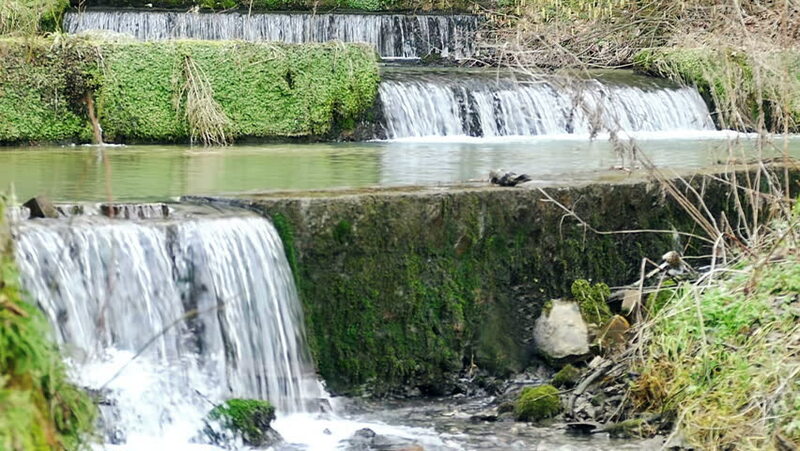 Artificial waterfall near the hydroelectric power station.